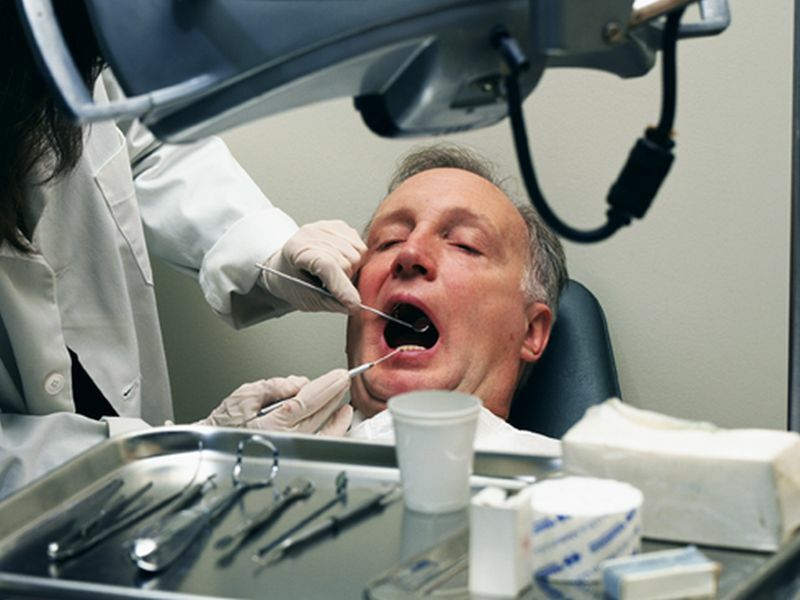 Is Seniors' Dental Health Tied to Mental Health? FRIDAY, April 1, 2016 (HealthDay News) -- There seems to be a link between poor oral health and age-related mental decline, researchers say. However, the researchers emphasized there is not enough evidence to prove a direct link between oral health and thinking ("cognitive") abilities. In a new report, investigators reviewed studies on oral health and cognition published between 1993 and 2013. Some of the studies found that oral health indicators -- such as the number of teeth, the number of cavities and the presence of gum disease -- was associated with a higher risk of mental decline or dementia, while other studies did not find any association. The study authors also noted that some of the findings based on the number of teeth or cavities were conflicting. The new review was published in the April 1 issue of the Journal of the American Geriatrics Society. Overall, "clinical evidence suggests that the frequency of oral health problems increases significantly in cognitively impaired older people, particularly those with dementia," review author Bei Wu said in a journal news release. But, "there is not enough evidence to date to conclude that a causal association exists between cognitive function and oral health," said Wu, from Duke University's School of Nursing in Durham, N.C. So what might the link be? Experts said many factors could be at play. For example, there's been "speculation that a shared inflammatory pathway is common to both cognitive decline and oral disease," said Dr. Jacqueline Sobota, a dentist at North Shore University Hospital in Manhasset, N.Y. But the new study, along with prior research, hasn't confirmed that, she said. Dr. Gayatri Devi is a neurologist and memory loss specialist at Lenox Hill Hospital in New York City. She said that "some patients with dementia may develop an apraxia -- a condition where one forgets a previously learned task, such as tying shoes, for example, or brushing one's teeth." And, in some cases that might lower oral health. "Some patients, even if they do not have an apraxia, may just forget to brush their teeth," Devi said. "However, early in the course of dementia, the majority of patients attend to their oral hygiene in the manner they used to prior to developing dementia." According to Wu's team, the number of seniors in the United States continues to grow, and about 36 percent of those older than 70 have some type of cognitive problem.